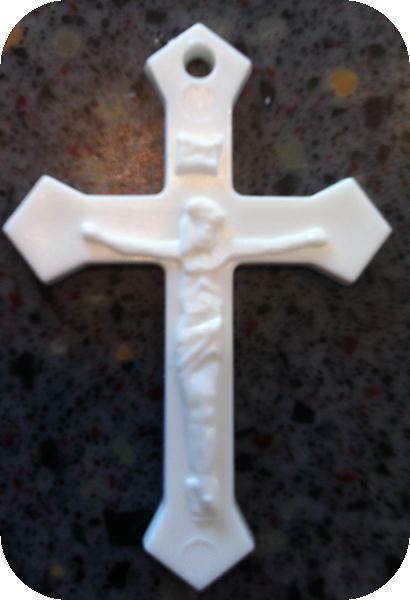 The White Crucifix, pure white plastic and is our most popular color. The White Crucifix was the first in our line. It was uniquely designed, painstakingly carved, and a mold was built just for this purpose. It is currently our best seller! Happy with the product. Good pricing. Prompt delivery. Best ones you can buy. Great price & durability! Click the button below to add the White Crucifix to your wish list.